June was my busiest “trade show month” of the year. I began in Las Vegas, Nevada for World Tea Expo, then headed to Amsterdam, Netherlands for World of Coffee and ended the month in New York, New York (my hometown) for the Fancy Food Show. Along the way, I learned several things, some surprising, but all beneficial. 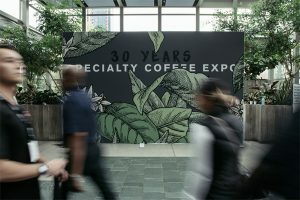 The Specialty Coffee Association’s (SCA) World of Coffee (WOC) is Europe’s largest coffee trade show, and was the host of the 2018 World Barista Championship. 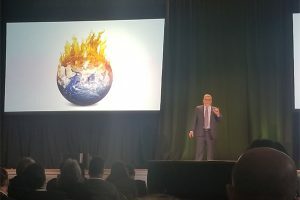 According to the SCA, just under 11,000 professionals from across Europe and around the world registered to attend WOC, breaking records for the event. Colombia was this year’s Portrait Country, represented by the Café de Colombia brand. The 2018 World Barista Championship (WBC) had an extra air of excitement as Agnieszka Rojewska of Poland triumphed over 55 other baristas to become the first woman ever to win the title. In the State of the Specialty Food Industry session during the Fancy Food Show, David Lockwood, director of Mintel Consulting, said younger consumers are avid purchasers of specialty foods and they are not only fueling growth but are also bringing new dynamics to the industry that manufacturers and retailers need to be aware of, but it’s not millennials who will be driving the growth. Per the Specialty Food Association’s (SFA) The State of the Specialty Food Industry 2018 report, produced in collaboration with Mintel, consumers ages 18-23 – iGen or Gen Z – are more likely than any of the other demographic groups to have purchased specialty foods in the last six months, with 79% of respondents saying they had done so. This compares with 67% of millennials, 65% of Gen Xers, and 60% of baby boomers who all purchased specialty foods in the same period. Over the next five years, iGen/Gen Zers will be entering the work force bringing with them (more disposable income) a strong interest in food overall and a different mindset in their shopping decisions. Lockwood noted that the interest of younger consumers in specialty foods will be a significant factor in the projected sales growth of between 6.2% and 6.5% per year for each of the next five years for specialty foods (conventional foods have a projected sales growth of between 1.2% and 2% per year). He predicts that specialty foods will rise to become 19.4% of the total food market, up from 15.6% today. 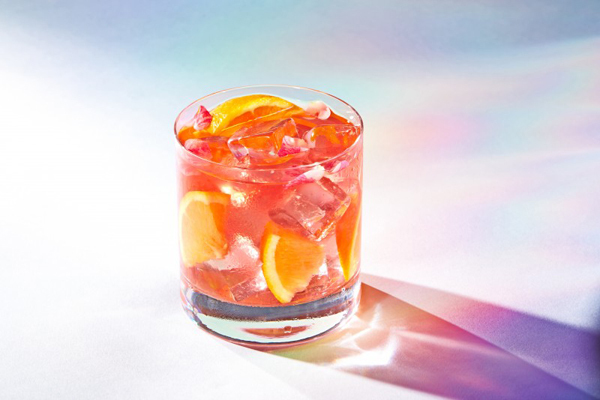 Furthermore, according to the SFA research, beverage categories collectively have grown 18% in retail sales between 2015 and 2017 – faster than food categories as a whole. 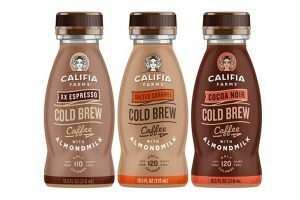 Sparkling beverages were prevalent at the Fancy Food Show along with wellness and energizing teas, and of course, cold brew coffee, which shows no signs of a slow down in popularity or product launches. As the unrelenting heatwave here in New York City (and the metro area) continues – averaging 90+F/30+C – the cold brew coffee and tea samples generously given to hot and thirsty attendees are quite serendipitous. But what to have…a sparkling white tea with cranberry; chocolate, rooibos and vanilla; or a cold brew that is a blend of Ethiopian and Sumatran beans? So many choices, too much heat and humidity! *I wrote about World Tea Expo in my previous blog, Finding a Voice for Specialty Tea, so I will not discuss it again here.